stir, strain, mist with Xocolatl mole bitters. * tincture: smoke the chipotles in cold smoker for 3 hours, smoke the mezcal with smoke gun, vacuum seal, let it rest for 12 hours (or sous vide at 58C for 2) and strain. A take on a classic dry Martini. inspired by the commercial route between these 2 cities with a periodical stop over in Tokyo. Also Sake shares aromas and tastes with Mezcal. Stir with ice, strain in chilled cocktail glass. here is in the original bar menu, here’s a picture. While stirring, burn a sage leaf in a fine mesh strainer hanging inside the a cold martini glass. Stir the ingredients, pour and garnish with a new sage leaf. The name comes from the interaction of frequencies of each individual ingredient and how one resonates with the other one making for a whole more rounded and complete composition. Burning sage adds aromas and theater to the experience with its associated mysticism. Inspiration came from the string instrument cello. Cracked ice, build in a highball. stir, top off with Rose Cava, garnish with edible flowers and raspberries. This is inspired in a margarita, build upon the same family of ingredients yet in different format and proportions, where lime juice balances the flavors instead of being a driven one. Then it is topped of with Rose Cava. Here you have some google pics taken by the guests. Mexican Dude (www.laurbanasf.com, 2013)developed together with Chef Julio Aguilera. Stir, strain in martini glass and garnish with lemon peel and its oils. Inspired on Johnny cash’s song Flesh and Blood, using the ingredients he names and taking the Blood & sand cocktail as a base. Note: this measure wehre for a small glass, 8 oz delmonico type, adjust for a bigger glass. Muddle the blackberries and the orange slice in the bottom of the glass. Add the rest of the ingredients and mix, add ice and ginger ale, mix carefully trying to keep the carbonation in the soda. Muddled the strawberries with the orgeat syrup, add Tequila, ice and shake. 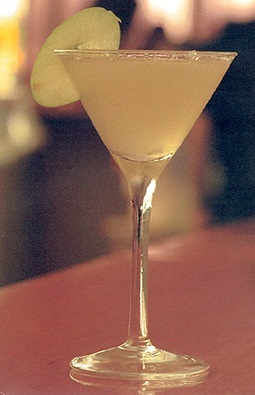 Double strain in a cocktail glass and finish with the rose water spray. Note: balance sweetness / acidity depending on strawberries ripeness. Top off with rose champagne if you fancy. Muddle all the fruit and the syrup, add the vodka and plenty of cracked ice. 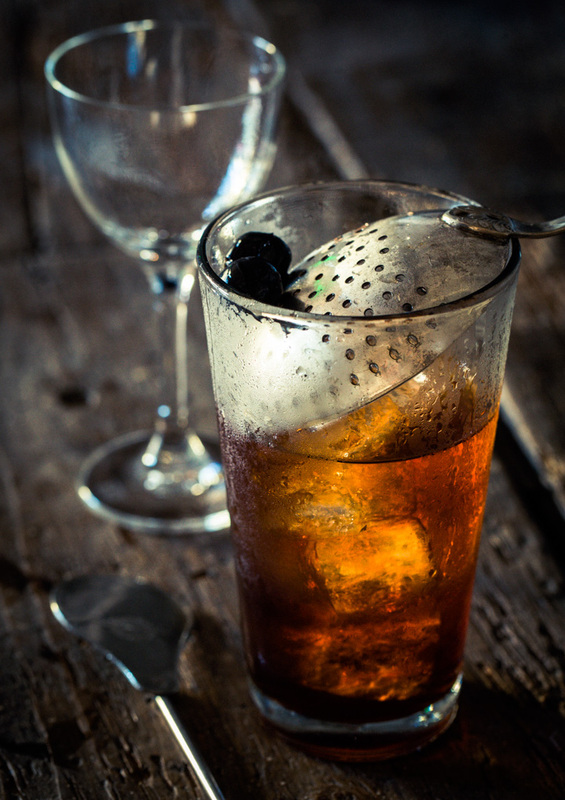 Shake and strain with a hawthorne and julep strainer in a rock glass with cracked ice. Chill a Martini glass and rinse with the cacao liqueur. Stir the rest of the ingredients in a Mixing glass. Discard the liqueur and serve in the Martini glass. Garnish with orange twist. *Prunes Matusalem clasico: infuse a bottle of rum with 1 cup prunes for 2 weeks. Strain and use. + Walnut syrup: I first used it in 2004 for an Autumn inspired drink. 2 cups water, 1 cup sugar. 1/4 cup crushed walnuts. Boil for 5 minutes. Add the walnuts, cover and boil for 10 minutes. turn the fire off and let it cool. strain. Orange or grapefruit twist as desired. Stir and strain in previously prepared glass. Royal Tiger (Bols liqueur, Bols 200 competition, Amsterdam, 2006) Inspired on Jerry Thomas’ Tiger’s milk. Famous Grouse Scotch whisky glass rinse. Rinse a rock glass with Famous Grouse. In a Mixing glass stir the rest of the ingredients. Strain the scotch and add more ice if needed. Strain and finish with an orange peel. Drink styling: Juan Cruz Policella. Photo courtesy of Fabian Garcia – RSVP Magazine. ice cubes, Add 2 straws and garnish with grapes and an apple fan. Slightly press the mint leaves, add sugar (I won’t but if you like it go ahead), ice and the rest of the ingredients in the order given. Mix in the same glass and decorate with a cocktail cherry and lemon twist. House signature Punch. Skilfully mix of 100% Agave Tequila & Rum, Agave honey, bitters, citrus juices plus an esoteric secret ingredient. Lie down & let the memories of good time take you over. Shake, strain over crushed ice. Garnish with pineapple leaf and triangle and a cherry. A Heavy measure of both 100% Agave Tequila & Mexican Brandy blended with guava, exotic tropical fruits, a dash of homemade chilli syrup, citrus juices & Kalhua. Shake, strain. Garnish with chile, mint leaf and orange slice. Shake all the ingredients. Strain in a nice highball over cubed ice, top up with a dry white wine and decorate with strawberries, mint and cucumber. House signature ”chill-out drink”. Fresh, easy drinking, 1980’s paradise drink served tall over cubed ice. A frothy mix of Malibu, pineapple, Midori liqueur & Agave Honey. Inspired in El ferrocaril, Argentinean cocktail from 1940’s. Named after Federico Cuco who provided me with the recipe for El ferrocaril. Squeeze and drop in the grapefruit. Shake, strain in a Martini Glass. Orange or Grapefruit twist. Shake, double strain. Done. give it a try, adjust measurements of cranberry juice depending on your brand. vodka, apple schnapps, orange juice, dash Campari. Shake with cubed and crushed ice. Strain in Martini glass. range and lime twist. make a lemonade. add 2 dashes of Mandarin napoleon liqueur and a dash of VS cognac. pour a 10 ml of cassis liqueur in the bottom of a highball, add cubed ice and strain the lemonade on top. Garnish with a tangerine wedge. A variation on the Cape Codder. Way more refreshing and velvety. slightly muddle the mint leaves with the sugar syrup in the bottom of a highball glass. Add the vodka, stir, add ice and cranberry juice. Blend to creamy consistency a piece of mango with Orange Juice, Cranberry Juice and Jim Beam bourbon. 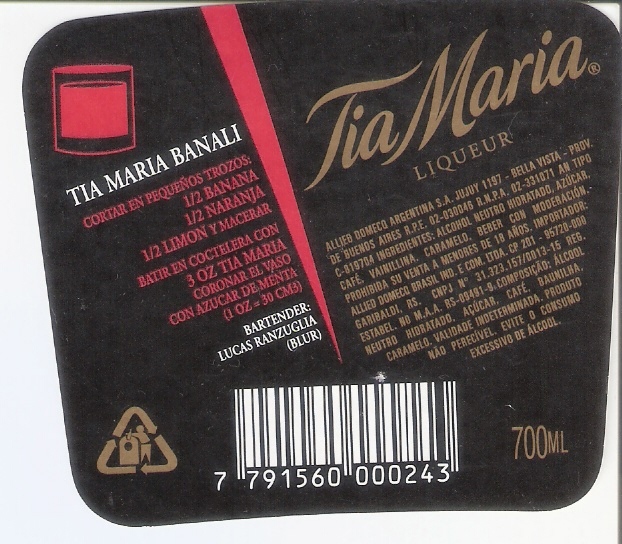 This drink together with the marketing campaign resulted in a 40% sales increment from previous year. Muddled all the ingredients. shake with plenty of cracked ice. Strain in a rock glass with cracked ice. Sip with 2 straws. It tastes incredibly summer. Special Martini (Buenos Aires, Unico Bar. 2001) Created for my guest who went on vacations to Brazil and Europe. Muddle the ingredients the same way you’ll do with a Caipirinha. Add the spirits. Shake and strain in a Martini Glass. incredibly aromatic cocktail, crisp, complex and fresh. Shake, strain without ice in a rock glass. Nutmeg on top is a nice addition as well. Build in a highball glass with cubed ice. gin Bombay sapphire, cantaloupe melon, litchi juice, OJ, lime juice. white Bacardi rum, pineapple, fresh ginger, triple sec, lime and sugar. gin Bombay sapphire, Bacardi, vodka, tequila, blue curaçao, OJ, lime juice, sprite. wyborowa vodka, campari, cherry heering, toppe doff with club soda. Garnish with fruits and a flower. Shake, strain over crushed ice. I was fascinated with the love-hate history between UK and France, and how later on the Frenches got involved in what was going to be the new and free US. So I decided to make a call for peace and in a friendly way I introduced these three countries and their drinks and ingredients in one cup. Proceed like in any other Julep (USA), using Gin (UK), and Cassis liqueur for sweetness (France). Add a dash of club soda (Collins part, UK). Toast to love, so it wins over hate. rum, aperol, tangerine, orange, and grapefruit juices. Highball with Crushed ice. Shake and strain in a chilled Martini glass. Shake all the ingredients except the lager. 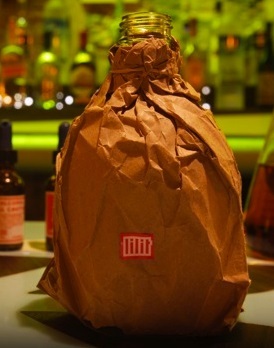 Strain in a flask inside a paper bag and top off with the Lager. Shake. strain, top off with club soda. 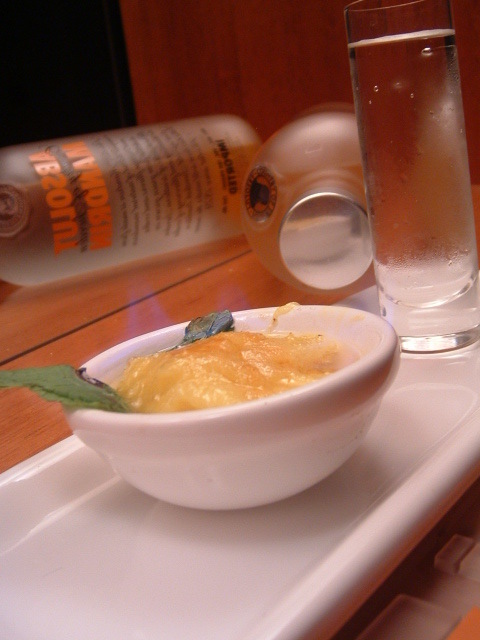 accompany with a piece of mango and 3 drops of tabasco sauce. spray with enough cointreau and set on fire. Allow it to caramelize. a flight of 3 1 oz shots. Serve and drink in the following order. 1 1 oz shot of frozen Absolut citron. 1 1 oz shot orange, lime juice and cassis liqueur. sea salt, pepper. thin piece of muddled celery. Roll all the ingredients in a shaker, strain over cubed ice. Accompany with Lavender and cinnamon caviar in half a cherry tomato. Accompany with Chile Morita and Chapulines foam. Prepare as a regular Margarita, no salt. Foam on the side. the citrus freshness of the Margarita will contrast with the smoky, spicy, intriguing foam. Once you tried it, they can’t go their ways apart anymore. Flash and hard Shake with plenty of ice. Strain in highball glass or tea cup. Garnish with lemon slice. Blend green apple, pineapple, orange juice and mint leaves with some vodka until frozen. Decorate nicely. Shake and strain in a wine glass without ice or garnish. Extremely aromatic and ideal to accompany desserts or cigars. Inspired on the Archbishop in Kappeler’s cocktail book. * Blackberry wine (inspired on mulled wines and Hippocrates’ wine): macerate for 1 hour 170 gr. of blackberries (slightly pressed to extract juices) with 50 ml honey, 100 ml water, 50 ml cranberry juice, and 1/2 cinnamon stick. Add a 750 bottle of red wine and bring to a boil, turn off the heat and cover until cool. Press the blackberries and strain. Bottle and keep in a cool place. Chill a bottle of Vaccari Nero and serve in a small shot glass accompanying with a fresh blackberry. Build pousse cafe style. Drink at once and bite the orange wedge. *Orange vodka: infuse a 750 ml vodka bottle with the peels of 3 oranges for 4 days. strain and chill. Morning call (London, 2004) THIS IS ACTUALLY LOW ALCOHOL. fill up with club soda. Highball glass with plenty of ice. apple juice, yogurt, honey, bananas and mint leaves. Blended. Coconut cream, cranberry juice (full of antioxidants), strawberries (lots of vitamin C), agave honey (low in hipoglucemic index), pineapple juice (helps in digestions of proteins), Basil leaves (). Blend. Mango and pineapple with a half a shot of Tequila to kick off the daysweet and spicy home-made chile syrup, lime and brown sugar. Serve frozen. Extra Lung (for Tropical House, Sayulita, Mexico, 2007)orange juice, fresh ginger, tropical fruits, clorofila to purify your blood. Blend. Let all the ingredients seat with the water overnight. Bring to a boil in a cover pot. cover the surface with grounded coffee and simmer for 15′ minutes. Strain and keep warm in a covered pot. The key ingredient for the balance of this margarita is the chimolera syrup. 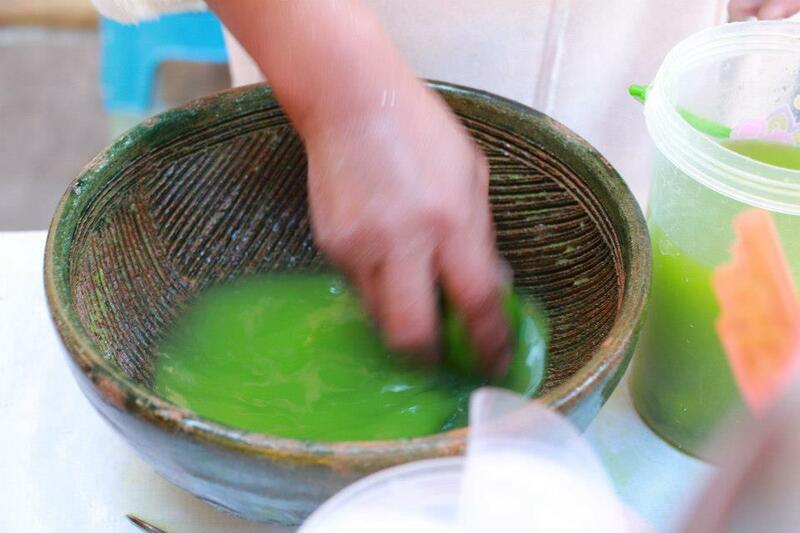 Chimolera is a tool used in Oaxaca to hand extract citrus essential oils. Then this water is blended equal parts with agave syrup. here’s a picture of the chimolera in use. A take on a classic dry Martini. ispired by the commercial route between these 2 cities with a periodical stop overin Tokyo. Also Sake shares organoleptic notes with Mezcal. que deliciosos!!!!! Todos! Any chance you can include the infamous “Morning Glory” ?? ?